Team - Ian Gordon - Ziyen Inc.
Ian Gordon joins the Scottish Technology Division as Executive Advisor. 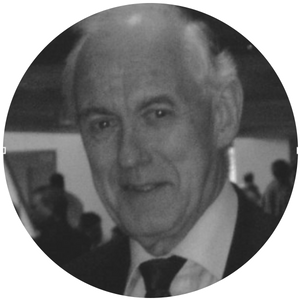 Ian brings a wealth of financial and corporate banking experience with over 38 years working for Royal Bank of Scotland (RBS) having worked in various locations including Edinburgh, London, Houston and Madrid. During seven years in Houston he was seconded for two years to open an office on behalf of the then Scottish Development Agency and was a founder director of what is now the British American Business Council in Houston. Ian represented RBS for three years in Spain as Director and General Manager of the joint venture with Banco Santander and also as a Director of RBS Gibraltar. On taking an early retirement from RBS he later opened the Aberdeen Branch of HSBC. He is a committee member of the Energy Institute Aberdeen Highlands and Islands Branch and Treasurer of the Grampian Houston Business Association.